Our Board of Directors covers all of the organization’s administrative, fundraising, and other overhead costs, so that 100% of your donations can go directly to helping people in desperate need. 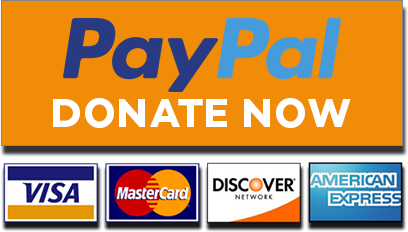 Donate by PayPal or Credit Card: The following button will take you to a secure PayPal page where you can choose to use your PayPal account or your credit card. You can also choose to give a one-time, or recurring donation. Please make payable to The Denan Project, Inc. The Denan Project, Inc. is an all-volunteer 501(C)(3) non-profit foundation incorporated in the State of Connecticut in the United States of America. Gifts are deductible to the full extent allowable under IRS regulations. The Denan Project is proud of its origin as a grassroots, all-volunteer organization – one small community reaching out to another, helping to ensure a better future. Our founding philosophy is at work today. Because our Board of Directors covers all of the organization’s administrative, fundraising and other overhead costs, 100% of all outside donations go to the medical care and critical community development programs we support. Board members are all volunteers and receive no financial compensation of any kind. In fact, when members travel to our medical facilities, they do so at their own expense. Our meetings are held in the homes of board members. Even the refreshments served at our meetings are provided by the members. $20,000 will provide one month of funding at our largest hospital, treating more than 2,800 patients. We publish a quarterly newsletter that gives updates on our projects and on progress at each location. Did you know you can donate to The Denan Project every time you use Amazon Smile at no extra cost? Sign up and 1/2 of 1% goes directly to The Denan Project, with no added fees to you.